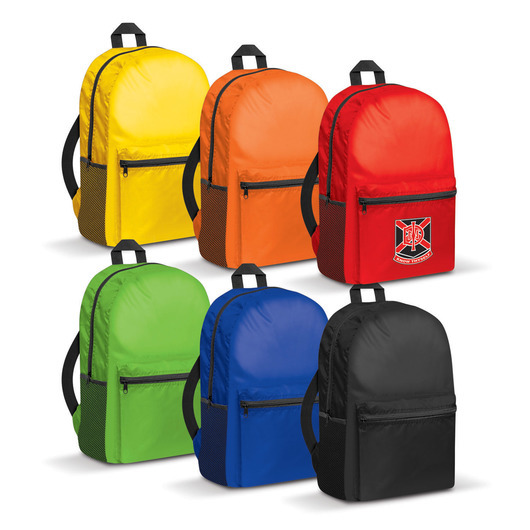 A budget friendly backpack that comes in 6 different colours and is made from 210D polyester. A very affordable lightweight backpack that comes in a wide range of bright colours and features your printed logo centre stage. 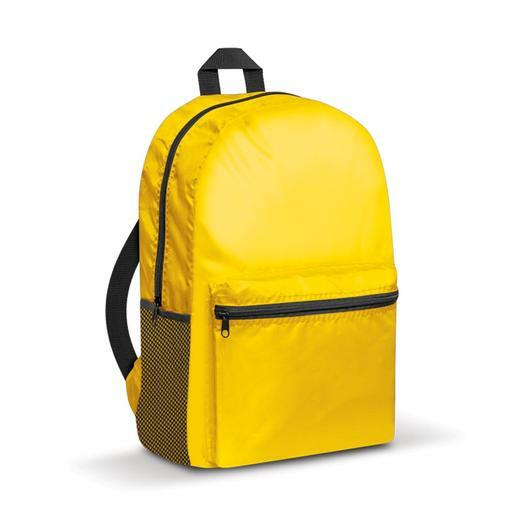 They're made from 210D polyester and have adjustable woven shoulder straps, a large zippered front pocket, a woven carry handle and even a mesh drink bottle holder. 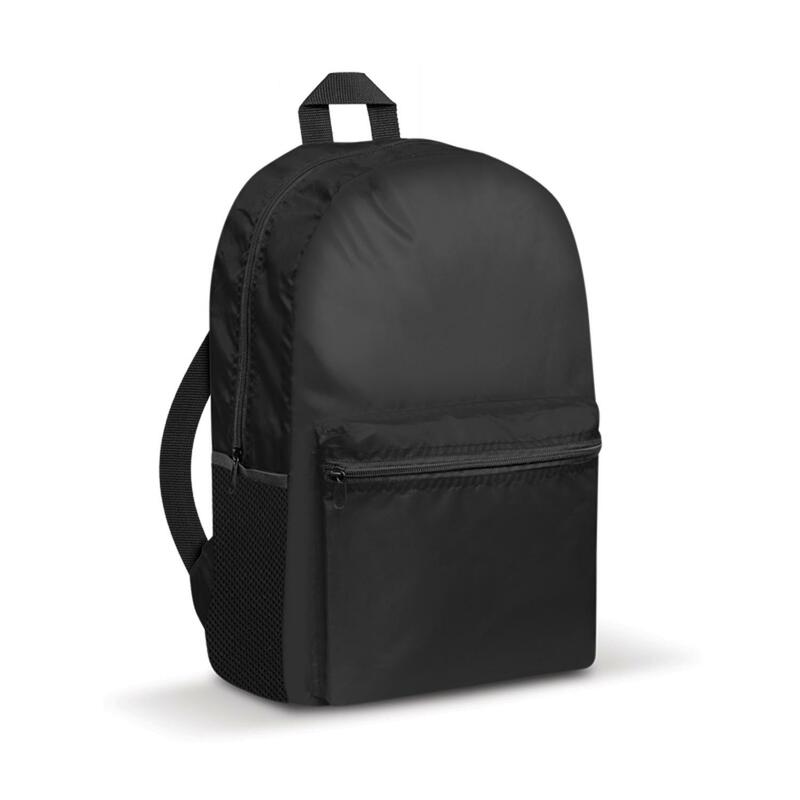 These bags are ideal for travellers as a day pack as they take up very little room in your luggage.